How many of your friends smoke cigarettes or use tobacco products on a regular basis? How many of your friends smoke at parties or consider themselves only a social smoker? I would be willing to bet that the latter is more common. I know that on more than one occasion in the past I have woken up and regretted the cigarette that I bummed from someone at the Gaff the night before, but why is social smoking so common? According to this study published in The Official Journal of the International Society for Neurochemistry, booze and tobacco go together like peanut butter and jelly. The study was conducted by Rishi Sharma and his team of colleagues at The University of Missouri. Rishi states that based on recent research, nicotine effects the brain through the basal forebrain. In an article about this study, written by Dana Dovey on medicaldaily.com, it notes that the basal forebrain controls things such as attentiveness and reflexes. Could the stimulant attributes of nicotine effect the depressant properties of alcohol? The team from the University of Missouri tested this question by experimenting on 20 male adult rats. Each rat had two electrodes implanted to record data while they slept. The electrodes measured three levels of sleep: wakeful, NREM, and REM. These 20 rats were divided into four groups of five rats each. The first group of rats, the control group, was administered small doses of artificial cerebrospinal fluid and water. The next group was given nicotine and water. One group was given artificial cerebrospinal fluid and diluted ethanol (35% alcohol). The final group was given both nicotine and alcohol. Rishi and his team found that the rats that received alcohol fell asleep faster and spent more time in REM sleep than those in the control group. Rats that were given both alcohol and nicotine stayed awake longer than the rats given only alcohol, but still fell asleep faster than the control group. Dovey, Dana. 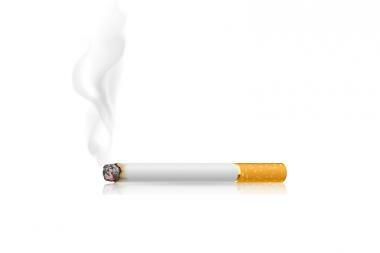 “Cigarettes And Alcohol: Science Finally Figures Out Why We …” Medical Daily. N.p., n.d. Web. 18 Oct. 2016. Very interesting read. I know that many people who drink alcohol also are likely to smoke cigarettes. In your conclusion, you mentioned how dangerous nicotine was. For one of my blog posts, I have looked into just nicotine delivery alone without any of the other awful chemicals seen in cigarettes. As I researched into the topic, nicotine alone may not be as bad for you. The quantity of nicotine that you may see in nicotine gums to help people relieve their addiction to nicotine may not be too harmful. https://www.scientificamerican.com/article/is-nicotine-all-bad/. This article speaks about nicotine as a substance alone. Although there is no definitive answer, it speaks about how nicotine may not be as harmful to you as society portrays it to be. I think this post will be very relatable to a lot of readers because I know people that commonly practice drinking alcohol and smoking at the same time. I was unaware of how compatible the two are though to the extent where it is more enjoyable for the drinker. Since people commonly practice both, what complications can arise from it? According to The National Institute of Alcohol Abuse and Alcoholism, alcohol and tobacco are the top causes of preventable deaths in the U.S. They also state that the link can put an individual at major risk for complications such as multiple cancers, lung disease, and heart disease. This demonstrates that there are major risks involved when the two are at use. To find more information about the link between alcohol and smoking, click on the link below! Thanks for sharing these findings! Obviously both alcohol and nicotine are really bad for your body but I never knew how compatible alcohol and nicotine were. It’s interesting (and honestly, kind of scary) to see how well the two work together. Great post!